I am very excited to announce that I am guest hosting COOKING WITH SEEDS EVENT - brain child of PRIYA a wonderful chef, as you all know and this is my FIRST Event too. Post any dish with coriander seeds between now and April 30th 2011. 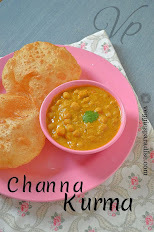 As this is vegetarian blog, I prefer vegetarian recipes. you can send as many entries you want, you can also send recipes in you archives. 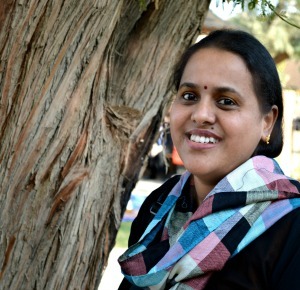 Place the link to my event announcement and Priya's announcement page. Don't worry if you have no blog. You can send me your recipes to my email to vegpar@gmail.com with or without a picture. 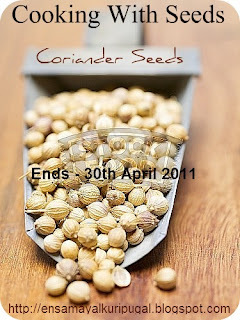 Send me ur your entries with the subject line as 'CWS-CORIANDER SEED' with the below details to vegpar(at)gmail(dot)com (vegpar@gmail.com) On or before 30th April 2011. Nice event dear !! will love to send some recipes !! Happy Hosting dear! will send my entry soon!! Gr8 event Aruna.. Happy hosting !! happy hosting.try to send my recipe. Happy hosting.I will try to send some recipes. Happy hosting Aruna..Will send my entries dear.. Happy hosting dear & sending my entries soon!! Happy Hosting. Will send in my entries. Happy hosting! will try to send in something. Happy hosting, try to send some entries. Coriander seeds! Thats challenging. Happy hosting! hey ! Great event :) Will send in my entries soon !